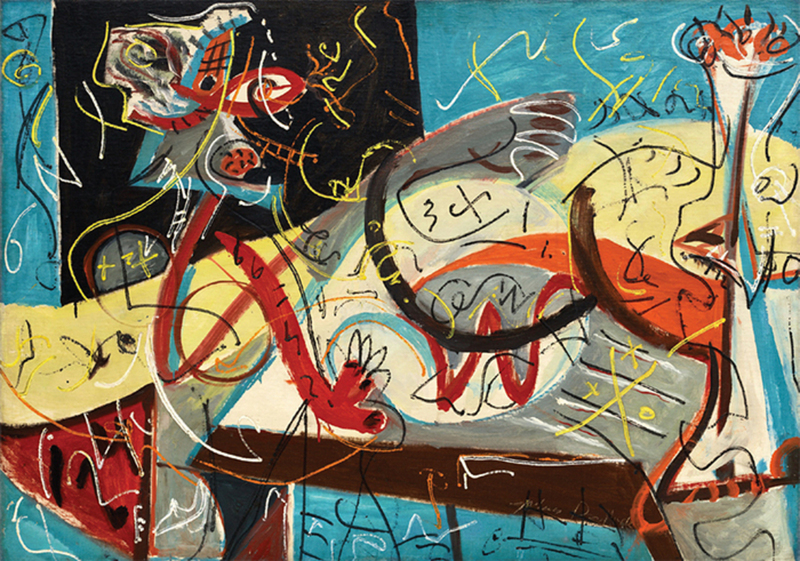 Jackson Pollock, Stenographic Figure, ca. 1942, oil on linen, 40 × 56". © Pollock-Krasner Foundation/Artists Rights Society (ARS), New York.